Ocean Surface Current Analyses Real-time (OSCAR) is a NASA funded research project and global surface current database. OSCAR global ocean surface mixed layer velocities are calculated from satellite-sensed sea surface height gradients, ocean vector winds, and sea surface temperature fields using geostrophy, Ekman, and thermal wind dynamics. OSCAR’s continuing improvement depends on better modeling of the momentum transfer both within and across the boundaries of the turbulent mixed layer. A main research objective of the OSCAR project is to improve the generation of surface currents by ocean vector winds, and in doing so further our understanding of the mechanisms behind the transfer of momentum between the atmosphere and the ocean through the planetary boundary layer. Surface currents are provided on global grid every ~5 days, dating from 1992 to present day, with daily updates and near-real-time availability. The data is freely available through the NASA Physical Oceanography data center, PO.DAAC. The NASA PO.DAAC site (http://podaac.jpl.nasa.gov, Dataset “Ocean Circulation”) serves OSCAR currents on both 1 degree and 1/3 degree (recommended) grid spacing in netcdf format. The manuals on the PO.DAAC dataset pages provide more detailed information about OSCAR. Answers to many questions about the PO.DAAC in general, the user registration system, how to retrieve data, specific questions about datasets themselves, and user shared scripts can both be found and posted on the PO.DAAC forum. What happened to the NOAA OSCAR site? 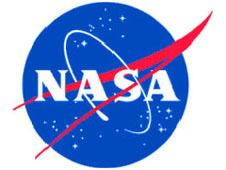 Please contact podaac@podaac.jpl.nasa.gov with any questions retrieving the data. The validation pages can now be found at oscarweb.esr.org. How can I visualize OSCAR without downloading the data? We know this will be quite difficult to many users who have grown to rely on the visualization capabilities of the NOAA site. We are working on a way to allow users to plot the data as they once did from the NOAA site, but at the moment that service is not available. We will update this site with information when that functionality does become available again. OSCAR can be plotted on the PO.DAAC “State of the Ocean” (SOTO): OSCAR on SOTO. Click on “Satellite Layers” in the upper left to get plotting options. OSCAR can be overlaid on other datasets to get the latest “State of the Ocean” view of conditions (see images below). PO.DAAC also has subsetting capabilities through their Live Access Server (LAS): OSCAR through PO.DAAC LAS. Plotting and some time series analysis can also be done with this tool. The Asia-Pacific Data-Research Center (APDRC) of the International Pacific Research Center (IPRC) does have OSCAR retrieved from PO.DAAC on their LAS server/plotter. OSCAR at APDRC. Click on the small blue LAS button to plot.